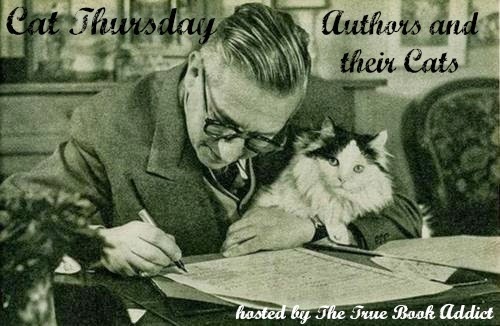 The second Cat Thursday of each month is Authors and their Cats Thursday. 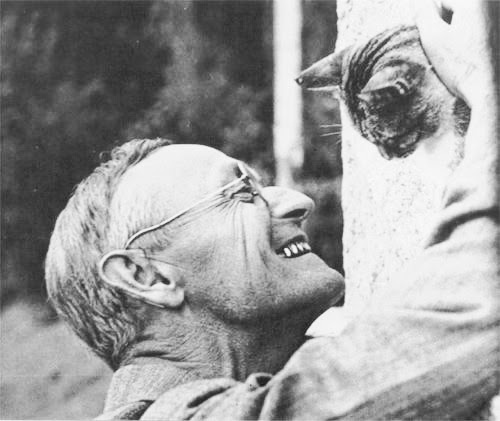 Each time I will feature an author and their cat(s). 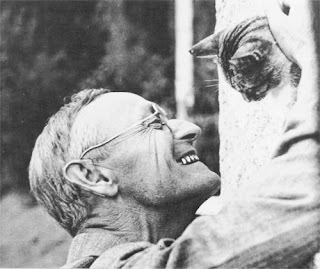 I absolutely adore this pic of Herman Hesse and his kitty. Such love! 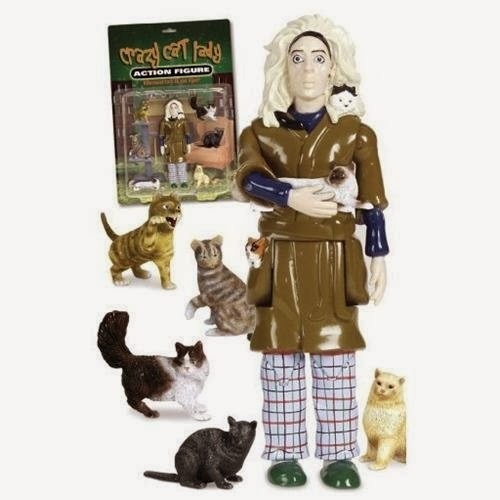 I also have for you a terrific gift idea for your cat loving friends...which means you must also buy one for yourself. I just might...haha! Aws that is such a sweet picture! Ha at the action figure! LOL at the action figure. I never saw that before. What a great Cat Thursday! Thanks! Ha ha! I've seen that crazy cat lady before!!!! My daughter is always saying she's going to end up being a crazy cat lady - I might just have to pick her up an action figure!